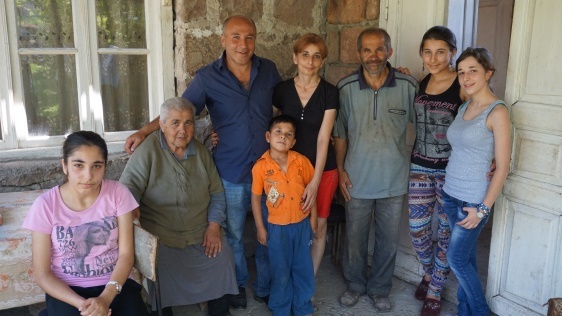 Thanks to “Let’s Keep Children in Families” charity program implemented by the joint efforts of Ucom Foundation and World Vision Armenia the Ucom subscribers this month also have helped one more family to create their source of sustainable income. 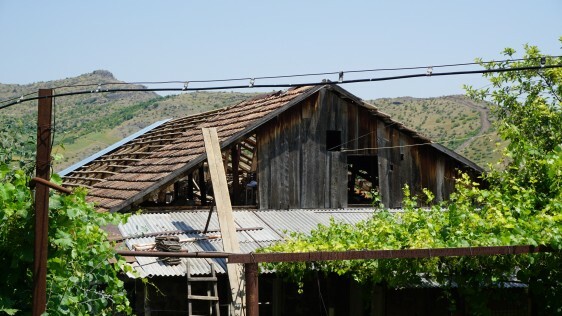 This time the support was provided to the family of Vardan and Alina – the parents of four children, living in Tavush region of Armenia. Vardan is a skilled hairdresser, simply a newly opened modern barber’s shop located nearby has created a competition. Vardan believes if he had a possibility to refurbish his barber’s shop, then he’ll keep on having regular clients and steady income. The family of the hairdresser, who has made up an improvised barber’s shop out of small wood and tin plates, makes its living out of the family benefits and disability pensions, altogether forming the amount of 50 000 AMD. Most part of the family budget is spent to solve the health issues of one of their daughters. Due to those problems the girl had become self-contained and less communicative with her peers. The rest of the amount is not sufficient for Vardan and Alina to meet even the basic needs of all their children. The house, family lives in, is in poor condition: the roof drips with raindrops and threatens to collapse at all. 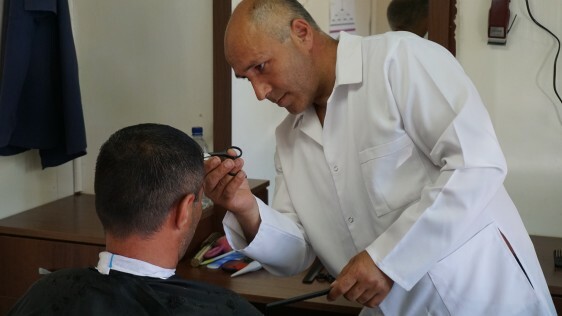 Within the scope of “Let’s Keep Children in Families” program, taking into account the hairdressing skills of Vardan, he was provided with the professional equipment and tools to repair his barber’s shop, as well as construction materials to renovate the rooftop. The family parents are convinced that now they will be able to satisfy the most basic needs of their four children and maintain the unity of their family. “We are extremely grateful to the Ucom subscribers, who by taking part in an SMS-charity every month, provide an opportunity for another family living in an extreme poverty to have a source of stable income and to enjoy the warmth of the family, that is so important and so much needed”, - said Ashot Barseghyan, the director of Ucom Foundation. “We pay importance to the fact that children enjoy the care and attention of their parents within their families, while parents have a chance to improve the living conditions of their kids and create a better future with their own efforts”, - said Zhirair Edilian, the program director at World Vision Armenia.